The Princess Castle Combo is perfect for your Princess Party! Bounce, Climb, Slide and Shoot a hoop! 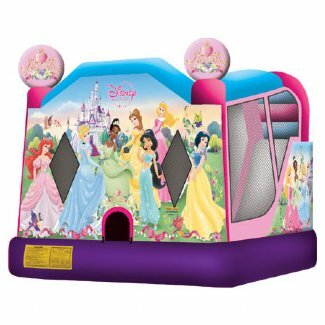 The Princess Bounce house and slide Combo is 20 by 20 and can be used wet or dry. It has a slide, a bounce and a basketball hoop. The Princess 4 in 1 Combo is available in the Tampa Bay and Orlando areas.